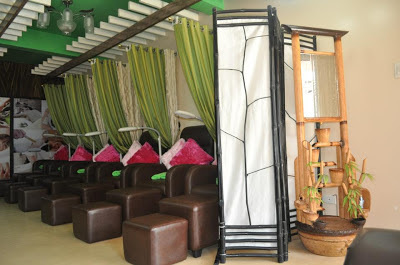 You'll never know that a slice of paradise awaits you in one of the newest Elite Nails spa branches - the Capri Oasis in Maybunga, Pasig, until you get inside to this haven of pampering. The lush of greens and browns that greets you from the reception area and wait until you hear the sound of water dripping from the small bamboos of custom-made fountain. Accompanied by themed music in the background and the scent of aroma oils that truly relaxes the senses, can you resist an invitation for a promising spa experience? 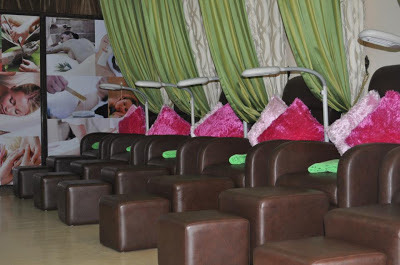 The spacious lounge guarantees comfort imagining a full-packed spa with all the clients and staff and their cleaning materials on the floor, there is just enough space to spare to move around and you won't be bumping with one another. Indeed, you can sit back and relax. Pull the curtains at the both sides for some privacy and ask for additional pillows if you want to doze off. The 80 square-foot spa will reflect the earth and nature ambiance from the ceiling, wall and to the floor. 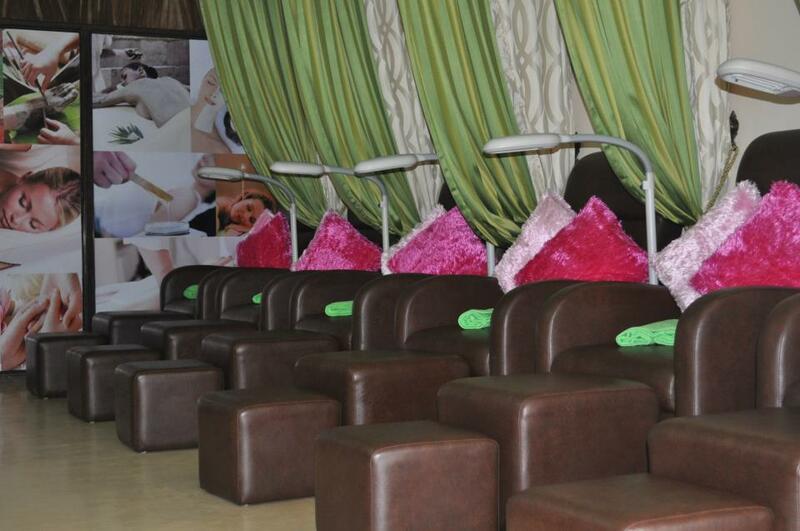 Elite Nails spa - Capri Oasis branch's aesthetically designed to create an impression of ultimate comfort and tranquility for our guests. 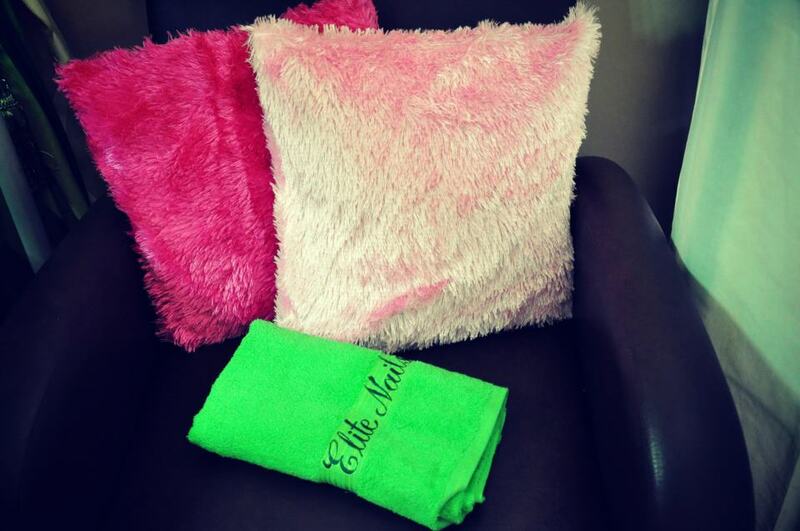 The plush pillows in the customized individual chairs in their eye candy colors will give you something sweet to cuddle while you have your mani and pedi, and the towels in cool green will give warmth to your skin while a nail tech clean your feet. 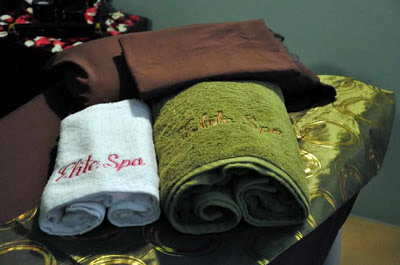 These are also new additions to the spa’s features. 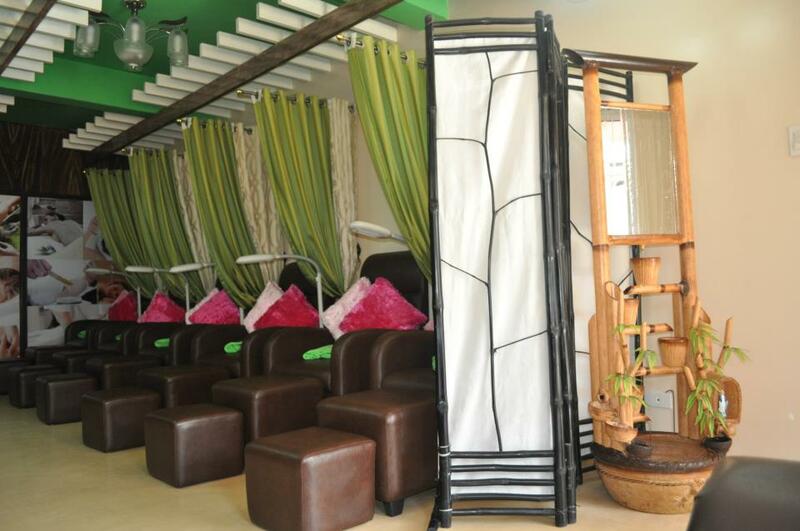 The wall that divides the nail lounge and massage rooms is surely can't be missed. 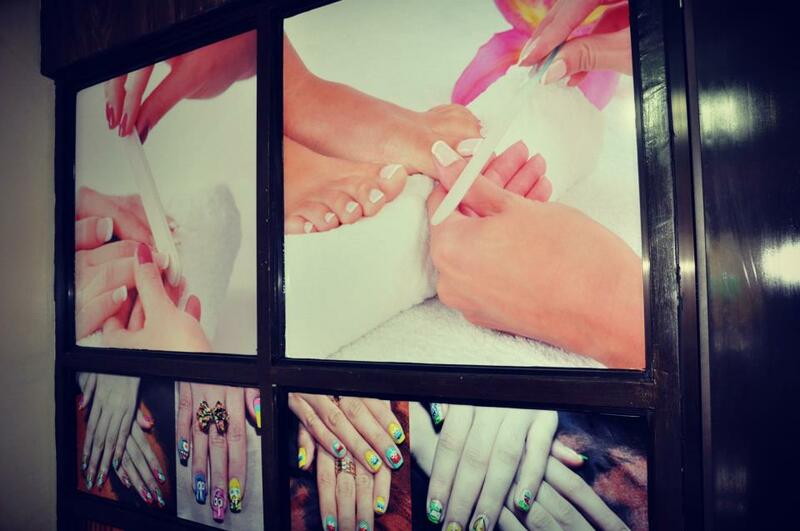 Most of our guests love to examine it like a work of art, a mural that sends them to not-their-kind-of-spa place. The pictures that tell beauty and indulgence, the glances and appreciation are validation of having it put in place perfectly. 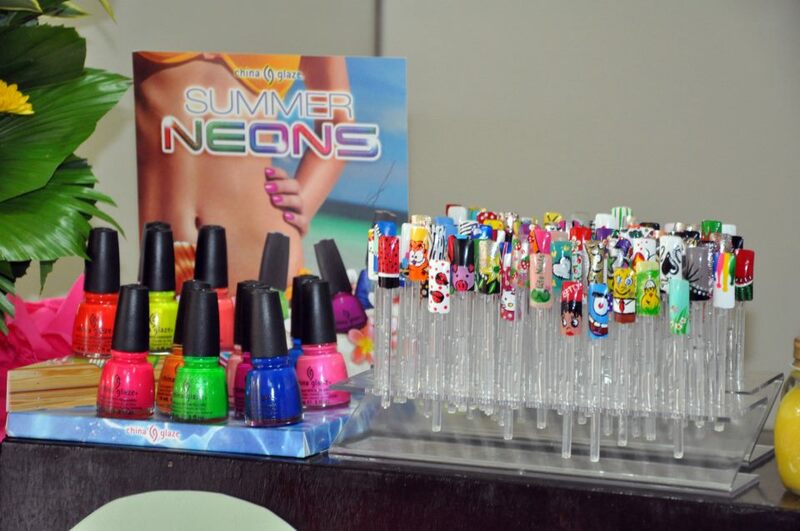 Individual lamps are also in placed enough for every nail tech's use for a safer and more efficient work. There are also updated magazine issues near the reception counter that our staff will offer you to read, or simply ask in case they forget. 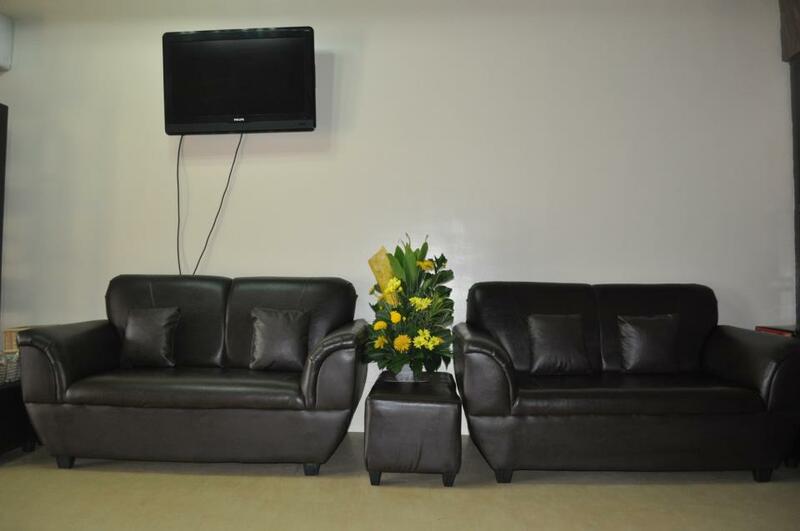 The LCD screen is right there above the couple's couch facing the individual couches, the remote is available and you can also ask to have someone switch channels for you. Or if you plan checking out online, our FREE WI-FI is always available for our guests. 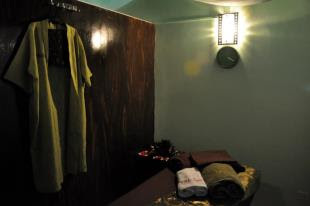 The ‘admit room’ has enough cubes for clients who wish to have their massage, scrubs, facial, wax and other treatment that requires a more private, warmth and safe place. The hallway is dimly lighted to assist your way to the shower room. You can find a change robe neatly hanged in every cube and we have separate piece for the ladies and men. Sufficient clean and fresh towels and blankets are also available. The slippers are right below the bed and in the corner is a locker for safe-keeping of your stuff. 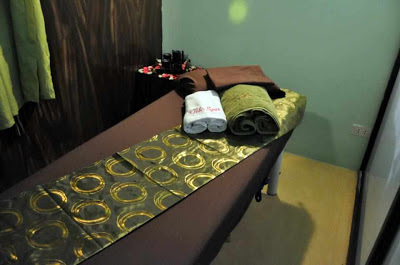 You will surely notice the scented candles on top of the locker/table to add a more soothing ambiance while you have your massage. Should you need additional stuff, you can always ask our staff to check for availability in the spa. Aside from the place and amenities that spells comfort, we believe in valuing more of giving you quality service that deserves your hard-earned bucks. 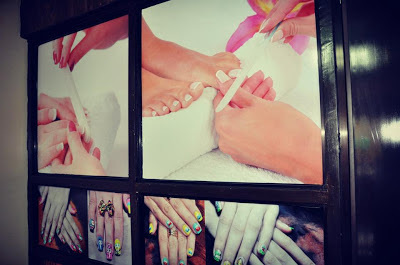 Elite Nails spa promises a fun pampering experience that you deserve, your money won’t go to waste, and that’s guaranteed. 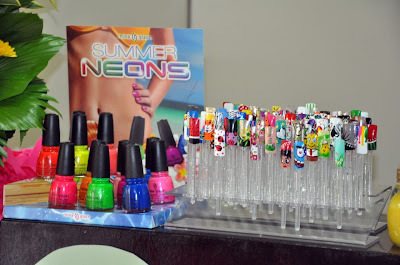 Elite Nais - Capri Oasis is open Mondays to Sundays from 10:00am to 11:00pm. 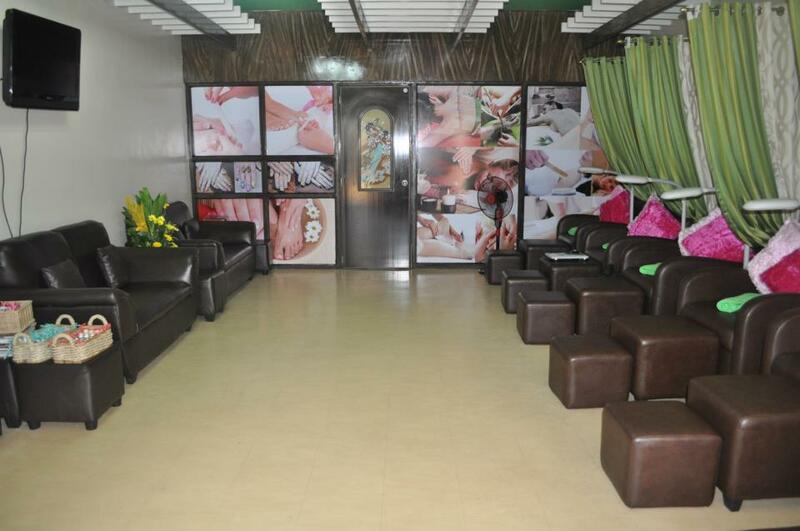 We are located at Unit 104 Solare Bldng., Capri Oasis, Maybunga Pasig City. You may also schedule in advance your visit, call for an appointment at (632) 480-6832 or thru their mobile nos. 09336537276, 09215918801 and 09178086950.